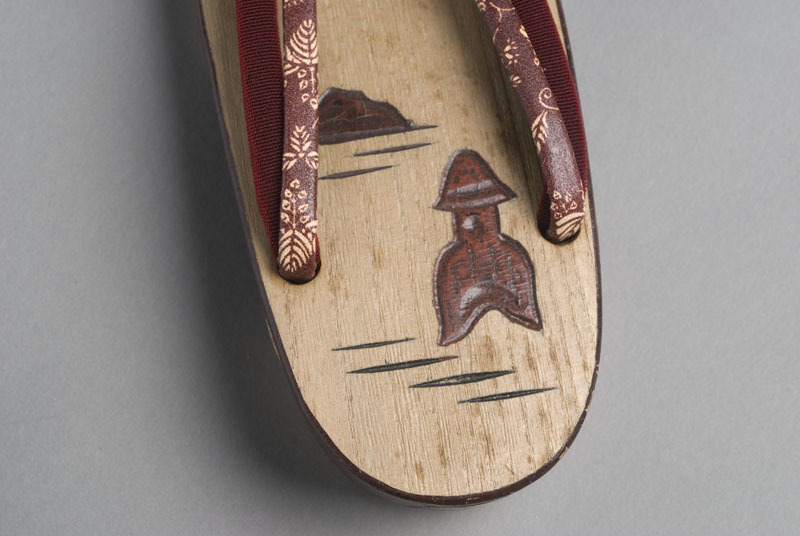 1 pair of zori (slippers) with lantern and mountain design painted on base and double straps : wood, rubber, vinyl, fabric ; each 9 x 3 x 1.5 in. 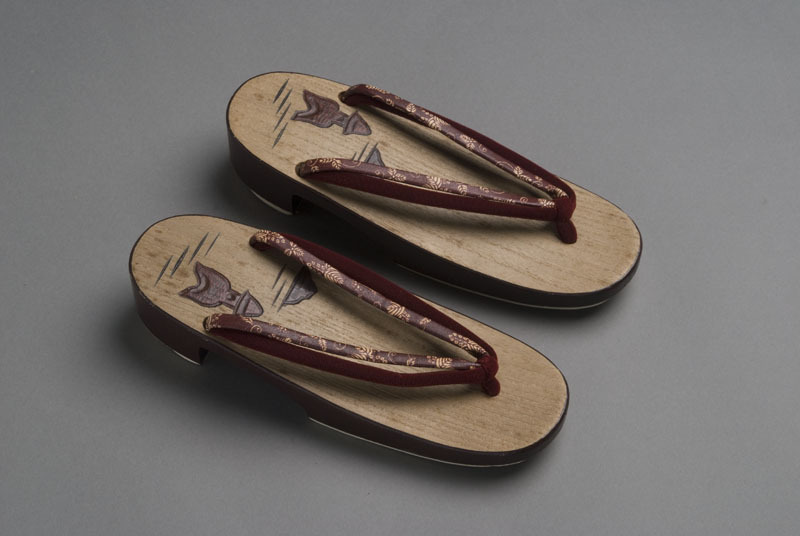 Japanese style wooden slippers handcarved by Issei woman with double straps of maroon velveteen and floral (paulownia) print vinyl. Sides and bottom are painted maroon with creamy white rubber soles, tapering at 1.5 in. heel. Stone lantern and mountain design are carved and painted deep red at heel of baseboard. The straps are secured at the front middle of the baseboard and at sides of the foot. Two pieces: right (A) and left (B) side. Handmade zori by an Issei woman, Mikiko Shigemura Hirohata; Lillian Maeda gave to Barbara Kawakami.